WENATCHEE, WA (June 13, 2017) In the fourth stop on the 2017 schedule, the Northwest Super Late Model Series Inc., (NWSLMS) will make its first ever visit to the 2/10th mile oval at Douglas County Speedway (DCS) in Roseburg, Oregon. Currently sitting sixth in the championship standings, Alan Cress is hoping for a little home track advantage this visit, as he’s been racing late models at DCS, considered his home track, since 2001. Like most youngsters, Alan started racing before he was legally able to drive. He took his 1976 Camaro to four street stock championships, before moving into the late model division in 2001. Winning not only the 2001 championship, Alan also nabbed the most popular driver award. Alan attributes many of those successes to his Dad, Stan Cress, and Jim Hiley, who taught him about race cars and how to set them up. In 2009, Alan signed on with Bruce Latta of Bay City Motor Sports (BCMS) and made his debut with ASA Northwest Tour finishing the season 5th in the championship points. BCMS fielded many cars and drivers over the years, including in the Winter Heat Series and with driver Robert Sprague in the NASCAR Winston West series during the late 80’s and early 90’s. Claiming 8 championships over the years, Alan has won many races along the way. Finishing 2nd in the Inaugural Summer Showdown in 2012 was one of the many highlights of his racing career. Alan, his wife Patty, and their daughter Avery enjoy travelling and spending time with family and friends outside of racing, and are avid Oregon State Beaver football fans. Alan is very thankful for their support with all the time it takes to go racing. Alan would like to thank Travis Sharpe at Racing Dynamiks, Jerry Jackson, Bruce Latta, Milo Anderson from Oregon Tool and Supply, and crewmembers Ray Keys and Don Jackson for their support as well. 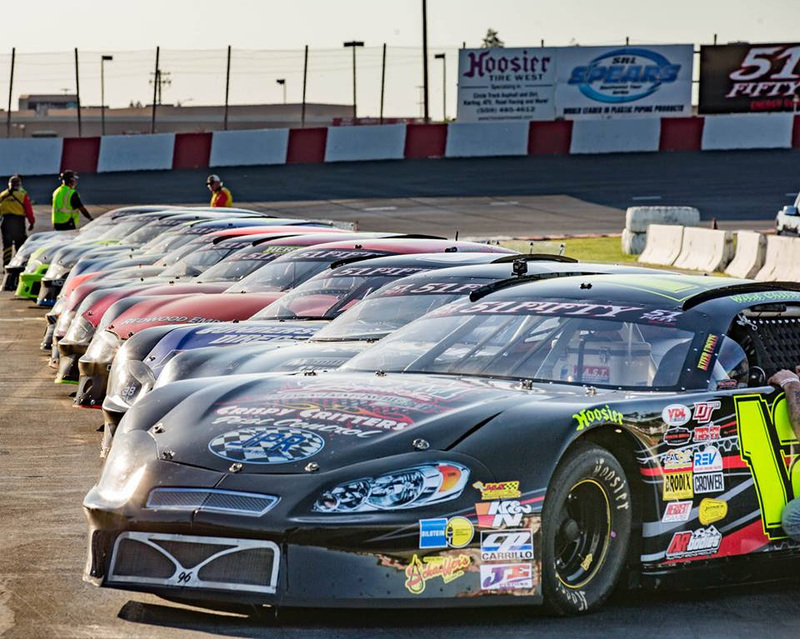 In their fourth season, the Northwest Super Late Model Series Inc. is the premier regional touring Super Late Model series in the Pacific Northwest. The series has many valued marketing partner including Hoosier Racing Tire, McGunegill Engine Performance, AR Bodies, Accelerated Graphics, Five Star Bodies, Longacre Racing Products, KRC Power Steering, Franks Racing Radio, Jefferson Pitts Racing, Bassett Wheels, TI Company, Child Haven Learning Center, Pacific Steel Structures, LLC and Racing Dynamiks. For more information on the series visit www.nwslmseries.com or on Social Media, Facebook (NWSLMS) or Twitter (@nwslms). MADERA, CALIFORNIA (June 14, 2017) – As temperatures rise, so will the battles at the top of the points standings at Madera Speedway. Both the RPM Mortgage Pro Late Models and 51FIFTY Energy Drink Jr. Late Models will be in action for their fourth races of the year. Both features will be televised for MAVTV with Toyota Sedans and Modified Super Toyotas also on the busy card. 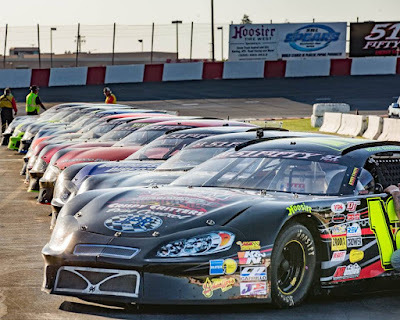 The fastest one-third mile in the west has seen the best stock car competition in central California in decades with routinely more than 50 combined Late Model entries on the grounds. The groundbreaking Jr. Late Model division for drivers ages 10-16 has blossomed into arguably the toughest Late Model class in California. Race fans from all over the country have marveled at the competition during the MAVTV-televised broadcasts. Despite the strong fields, 12 year-old Jesse Love IV of Menlo Park has started off his stock car career a perfect 3-0. The former USAC HPD Midget champion has won all three of the 75 lap Jr. Late Model races this year and aims to do so again on Saturday night. His female teammate Hailie Deegan is also in her rookie Late Model campaign yet ranks second in the standings with a pair of third place finishes. Redwood Valley's Kolby Berry has topped qualifying in all three races but an engine failure during the Military Tribute Night knocked him back to third in the points. 2016 race winner Austin Edwards of Mentone and Las Vegas' Kyle Keller round out the top-five. The Jr. Late Model action sees drivers compete in a 50 lap first segment, before a break for adjustments and TV interviews on the front stretch. A 25 lap segment rounds out the 75 lap combined race. Bonus points are offered for qualifying and for the lead at the end of the first segment. 2015 RPM Mortgage Pro Late Model Series champion Buddy Shepherd of Bakersfield is atop the 2017 standings on the strength of back-to-back victories. Shepherd has earned the fast-time in all three races this year and has easily passed the most cars as well in his typical come from behind fashion. A narrow loss to Matt Erickson in the season opener for $5,000 to win in March is the only blemish on an otherwise dominant season. Erickson, the 2016 champion, ranks second but faces stiff competition from sophomore drivers Logan Zampa of Napa, CA and Madera Ranchos' Dillon Tucker. Sandwiched between them in the points is Modesto's Garland Tyler. The trio has collectively sat on the podium five times this year but none has yet to have a career victory in the division. Despite the pound for pound competition at Madera, no drivers outside the top-five in the standings have earned a podium finish yet this year. 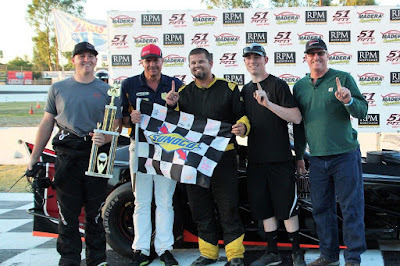 Bert Stephens and Mike Marley have anchored the points standings for the Modified Super Toyotas and Toyota Sedans respectively all year long and intend to maintain their leads in Saturday's undercard as well. An open practice kicks off the weekend on Friday before a full day of action on Saturday. Friday practice runs from 5 p.m. - 8 p.m. On Saturday, pit gates open at 12 with practice from 1 p.m. - 3:30 p.m. Qualifying will follow with heat races at 5:15 p.m. The B Main events are scheduled for 5:30 p.m. with Opening ceremonies and the main events beginning after that. Tickets for this great night of racing are $15 for adults, $13 for seniors, $7 for youth ages 6-12, and kids five and under are free! All Military are admitted free this weekend and are encouraged to arrive early to see the special Military tribute during opening ceremonies. SACRAMENTO, CALIFORNIA (June 13, 2017) - The Pacific Challenge Series presented by PenneyLawyers.com returns to one of its home race tracks, with the fourth race of 2017 Saturday night at All American Speedway in Roseville, CA. 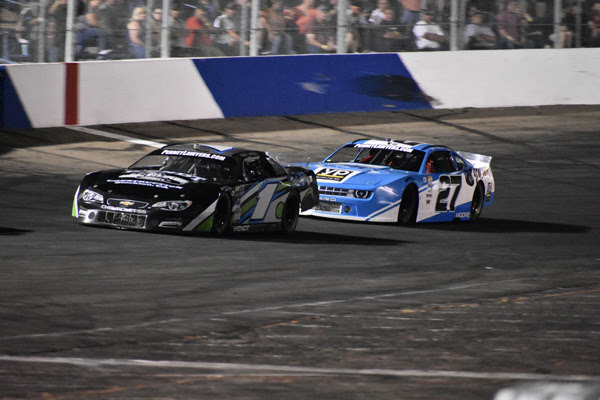 Several local favorite drivers are expected to join the PCS touring stars on the one-third mile with Street Stocks and Bombers also scheduled on the undercard. All three races this season have been claimed by first time winners with Carlos Viera, Derek Copeland, and Jeff Bischofberger all seeing victory lane. That bodes well for drivers such as Cole Moore and Matt Scott who are still in search of their first PCS win. 2015 PCS champion John Moore has finished in the top-five in all three races this year with highest finish of second at Shasta in May. The Granite Bay driver lists Roseville as one of his home tracks but in nine PCS appearances he has only managed two top-five finishes. One of those top-fives, however, was a victory in the 2015 season finale held during the prestigious NASCAR K&N Pro Series, West race every October. Moore leads 2014 champion Mike Beeler of Modesto by four points in what has been a continual battle for the last four seasons. Beeler has finished in the top-two in the standings in each of his full-time seasons, following his championship with a runner-up effort to Moore in 2015 and runner-up to Jeremy Doss in 2016. Beeler has a perfect record of all fourth place finishes thus far this season. Cameron Park's Jason Romero, the 2009 All American Speedway Late Model champion, is third in the standings and the leading money earner this season. Romero has not yet visited victory lane despite race winning speed in each event this year. He came within ten laps of victory at Stockton and had a strong lead at Shasta before a flat tire ended his chances. Romero will hand the controls over to his father Mark Romero in Saturday's race with the elder Romero carrying plenty of racing experience at the facility prior to its expansion in 2007. 2016 PCS Rookie of the Year Matt Wendt of Galt has persevered to run fourth in the championship with sixth place finishes across the board. 2015 PCS Rookie of the Year Cole Moore of Granite Bay used a second place finish on May 20th at Stockton leap into fifth in the standings. Jack Wood of Loomis leads the 2017 rookie battle and is another driver who ranks Roseville as his home track. Wood's cousin Travis Milburn of Eagle, ID and Tracy Bolin of Valley Springs round out the eight drivers that have started every PCS race this year. Derek Copeland and Danny Malfaftti round out the top-ten. Mike Hite of Elk Grove has appeared at all three events but had engine woes in practice prevent him from competing at Shasta. Milburn and Bolin had an incident in the dash at Stockton that relegated them to "start and park" the 100 lap feature. Both drivers will bring back heavily repaired and improved machines to Roseville. Milburn has a strong seven career PCS top-fives at the speedway. Roseville fans will be treated to the returns of Matt Scott, Chris Scribner, and JR Courage among other local favorites expected to compete. 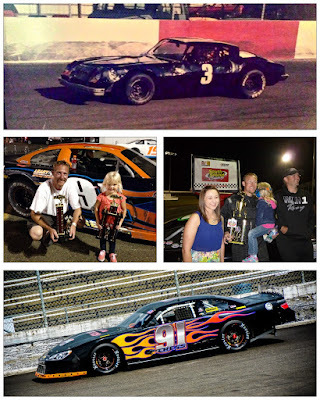 Scott won three consecutive Roseville Late Model championships running from 2010-12 followed by the 2013 Stockton 99 Speedway Late Model title as well. He has never won a series event at his home track despite seven starts and a best finish of second. Scribner, a former series winner at Ukiah, has a best Roseville PCS finish of third in nine starts. Courage was the 2014 PCS Rookie of the Year. Among drivers attempting their first start on Saturday night will be Sacramento's Shane Butler as well. June 10, 2017 ....Madera, CA...... With only three laps to go in the 60 lap feature, 2016 Lucas Oil Modified champion Matthew Hicks of San Diego moved under leader Jason Philpot of Sacramento to lead the final circuits and collect the $1250 win in the North State Modified Series, presented by Protect the Harvest, at Madera Speedway Saturday night during the Lucas Oil Summertime Horsepower Nationals. Hicks drove for P.J. Pedroncelli Racing in his first asphalt outing since his move to dirt-track racing this year. Hicks also qualified quickest over the 24 car field with his 14.704 second lap earning the Penney Racing Supply/Sunoco Fast Time Award. Second quick was veteran driver Wes Miller of Turlock at 14.737, Philpot (14.788), Lakeport's Sierra Furia (14.877) and Kris Price (14.897.) The 4-car invert placed Furia and Philpot in the front row, and when the initial green flag dropped both Philpot and Hicks powered into first and second. North State Modified champ Darrin Knight dove under Furia for third on three, and Miller swapped places with Furia for fourth the following round. The first of seven caution flags flew on lap eight when Simi Tour lost control and spun in turn one. Miller drove around Knight on the restart just before the race was slowed again when Cameron Austin's car lost power and stopped on the front stretch. Lap 11 saw Andrew Snider's car blow a radiator hose, spilling fluid on the track for yet another caution, and when racing resumed Philpot chose the outside lane and continued to show the way with Hicks next in line. Knight moved around both Miller and Hicks for second on the next circuit. On lap 16 Oregon driver Rich Cobb spin in turn four setting the field up for a single-file restart. Three rounds later Charlie Collins drove under Miller, pushed high making contact. Miller's car came back down with the second contact causing Collins to spin. This put Sierra Furia back up to fourth with Kris Price fifth. Then on lap 25 Price drove under Furia, contact was made, sending Furia's car hard into the turn four concrete. Price continued but Furia's car was towed to the pits. Tour spun for yellow #6, and Kevin Coburn's car broke, spinning in turn one for caution #7. At the half-way marker the running order was Philpot, Knight, Hicks, Darrin Sullivan, Eric Johnson, Cody Braund, Eric Price Jr, Dave Campbell, Bryan Denton, and Adrianna Strugnell. Hicks swapped places with Knight on lap 42 and set his sights on Philpot. Philpot weaved gracefully through lapped traffic with Hicks tight on his tail. The final 10 laps saw both Philpot and Hicks in a battle of champions. Then on lap 58 Hicks moved under Philpot where the duo ran side-by-side for two rounds before Hicks pulled ahead to claim the victory. Knight finished third with Sullivan fourth, and Campbell fifth. Johnson, Miller, Braund, Kris Price and Charlie Collins were the only other cars on the lead lap. Finishing one lap down were Brian Collins, Codi Barba, Denton, Cobb, Jerry Toporek, Strugnell, Tour and Dustin DeRosier. Philpot collect $100 for his win in the Lucas Oil Dash for Cash, with Kris Price earning $50 for second. Braund earned the Keyser Hard Charger Award. Simi Tour took home the Naake Suspension award, the DJ Safety Certificate went to Barba, and Philpot earned the Racer Bling certificate. The North State Modified Series returns to the All American Speedway in Roseville for the Sinister Diesel Summer Sizzler on June 24. SUNOCO/PENNEY RACING SUPPLY TIME TRIALS: Matthew Hicks (14.704), Wes Miller (14.737), Jason Philpot (14.788), Sierra Furia (14.877), Kris Price (14.897), Darrin Knight (14.918), Cameron Austin (14.970), Eric Price Jr (15.032), Brian Collins (15.081), Darrin Sullivan (15.148), Simi Tour (15.149), Eric Johnson (15.182), Dave Campbell (15.218), Charlie Collins (15.222), Bryan Denton (15.234), Rich Cobb (15.2686), Cody Braund (15.477), Jerry Toporek (15.439), Kevin Coburn (15.439), Codi Barba (15.477). Dustin DeRosier (15.544), Sal Lopez (15.733), Adrianna Strugnell (15.923), Andrew Snider (16.194).